← Simple Sunday – How Much for the Cat? It is awesome and I love it. The parent organization at my school is apparently pretty amazing and organized to have done this not just to my door, but all the doors of all the teachers at my school. 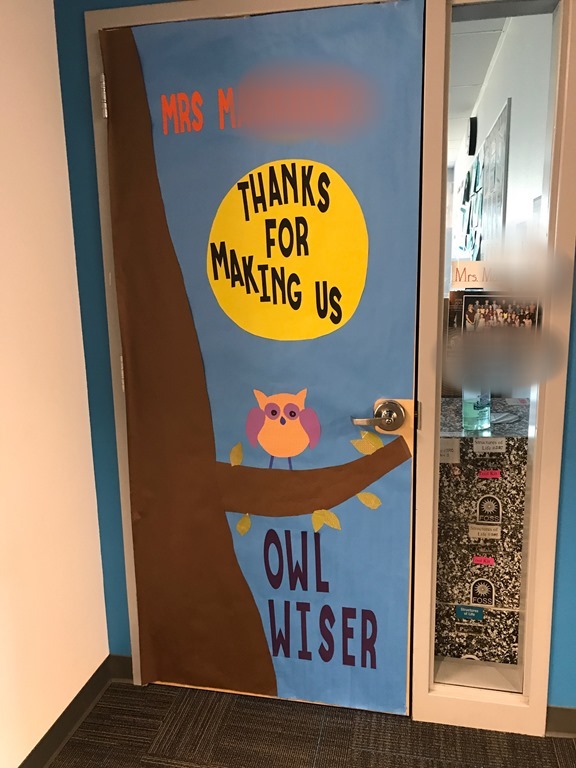 Not only that, but each door is customized to fit the personality of each teacher. I love owls and my favorite color is orange (owl theme, and my name all in orange letters, sigh). It is this, the personal touch, that really gets me. And it is this, the getting to know each and every one of my students on a personal level, that makes this job so amazing. This entry was posted in Being a Teacher and tagged Feeling Loved, Kids, Students, Teacher Appreciation Week, Teaching, Third Grade. Bookmark the permalink.